The Rub-A-Dub Pub is an inn on Cnossos Island. Arr! 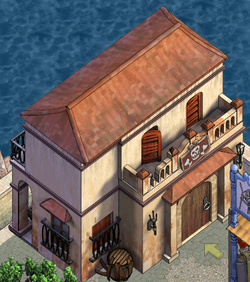 This article about a building in Puzzle Pirates be a stub. Ye can help YPPedia by expanding it. This page was last modified on 19 July 2013, at 01:50.